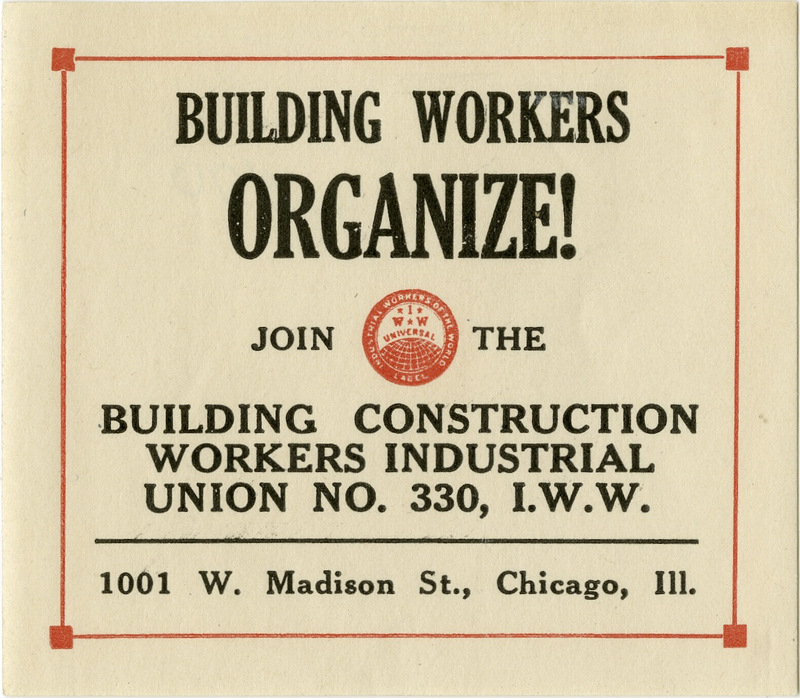 Join The Building Construction Workers Industrial Union No. 330, I.W.W. -- 1001 W. Madison St., Chicago, Ill.
Gummed paper label known as "stickerette" or "silent agitator." Includes I.W.W. logo.